A theatrical release is no longer the primary source of income for a new movie - the additional returns from which lasts for decades not weekends. The opening weekend results are the predictors on which the ‘book value’ of the asset is judged. The returns to the original (primary) investors over a future finite period are predicted from this. But the release weekend of a movie alone does not indicate its eventual losses - or gains, surely? - just the cash flow back into risky investor pockets in a small time frame. For every dollar returned they apparently need to see 25% - plus! Which, let’s face it, is not a bad rate of return for anyone‘s dime. The problem is when these risky investors place their bets in the tens of millions a quick rate of return becomes ever-more ’paramount’. For the rest it’s a slow rate of return over decades. 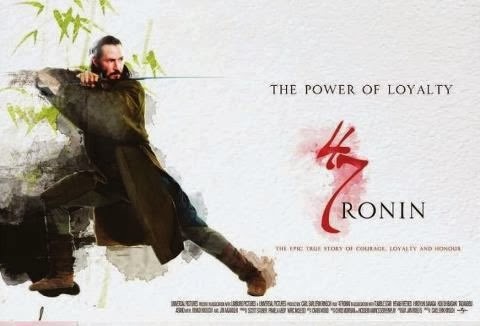 It is on patience then and customer loyalty that 47 Ronin will eventually be judged, and not by the expectation of the quick-return 25% plussers.